Recently, Selena Gomez has been rumored to be dealing with mental illnesses. In the wake of that, the rapper Cardi B has sent out love to her song partner. Though her representatives have not yet confirmed the news, it is believed that the Come and Get It hitmaker recently suffered an emotional breakdown, due to which she is now rumored to be in hospice. On Thursday, 11th October 2018, Cardi B posted a story to show her support for the popstar. She captioned the picture that she posted of Selena saying that the rapper thinks that she is amazing. 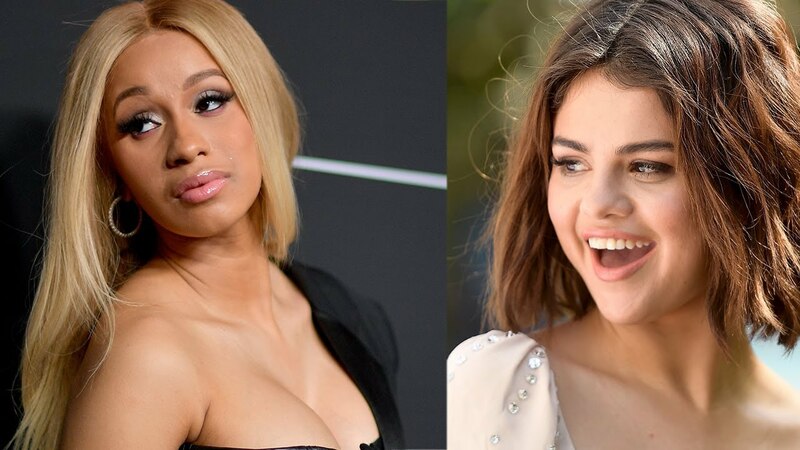 The pair had recently teamed up to record the song Taki Taki alongside Ozuna and DJ Snake. The video of the song was released at the American Music Awards on Tuesday. The day after, news about Selena struggling with mental health issues broke out. A source stated that the popstar had been battling with depression and anxiety for a while. Throughout the day, the people around her would keep an eye on her emotional needs too, to ensure that everything was okay. Especially after her kidney transplant, everyone was being extra careful around her. It has been revealed that Selena would often visit the hospital if she felt emotionally unstable. After being monitored, her doctors decided that she should seek help and admit herself to a mental health facility. Sources have also announced that the singer has been receiving therapy at a psychiatric facility on the East Coast for dialectical behavioral issues. Even earlier this year while in New York, Selena admitted herself to a wellness retreat after struggling with anxiety and depression. After going through a surgical procedure for her kidney in 2017, Selena revealed that she had decided to remove stress from her life. In order to do that, the popstar moved out of Los Angeles after selling her house. In an interview, the star confessed that she has decided to take a break from her hectic work schedule to enjoy the simple things in life as she recovers from whatever ails her.